Israeli Prime Minister Netanyahu is in Washington. Monday, Netanyahu was greeted like a rock star at the reception held by AIPAC, for the annual conference of the most powerful Jewish lobbyist group in Washington. Judging by the speech of Secretary of State Hillary Clinton, the recent tensions between Washington and Jerusalem were just a flash in the pan. Clinton painted the relationship between the US and Israel as “rock solid”. Prime Minister is holding private talks with President Obama today. 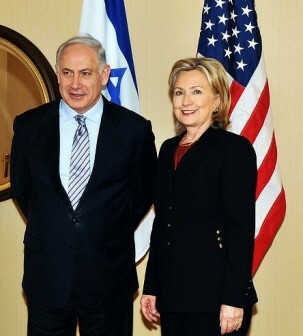 Beside Netanyahu, the biggest “ticket” at the AIPAC’s conference was Hillary Clinton. And for the ones in Israel which are worried about the “special relationship”, they can put all worries aside as far as Hillary Clinton is concerned. Clinton stated, in her speech, that the fate of both nations are intertwined. “Given the shared challenges we face, the relationship between the US and Israel has never been more important. The US has long recognized that a strong and secure Israel is vital to our own strategic interests. We know that the forces that threaten Israel also threaten the US. And we firmly believe that when we strengthen Israel’s security, we strengthen America’s security. Guaranteeing Israel’s security is more than a policy for me. It is a personal commitment that will never waiver. The administration will always stand up for Israel’s right to defend itself,” said Secretary of State Hillary Clinton. For his part, Israeli Prime Minister Netanyahu spoke last night in front of a packed audience of 7,500 delegates, including more than half of the members of the US Congress. Regarding the relationship between the US and Israel. “The two countries stand together because we are fired by the same ideals and inspired by the same dream- the dream of achieving security, prosperity and peace. The relationship between the US and Israel is based on shared values, common principles and the aspiration of living in peace. We are gathered here today because we believe in those ideals. And because of those ideals, I am certain that Israel and America will always stand together”, said PM Netanyahu. Regarding the construction of more Jewish settlements in East-Jerusalem and in the occupied territories of the West-Bank, which led to the tensions between the Obama administration and Israel, Netanyahu doesn’t want to compromise. 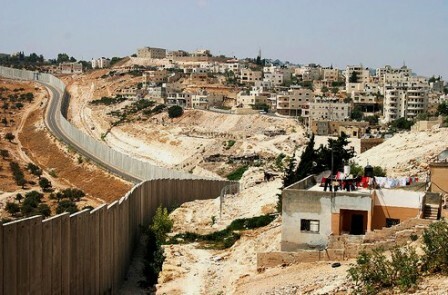 “Everyone knows that these neighborhoods will be part of Israel in any peace settlement. The Jewish people were building Jerusalem 3,000 years ago, and the Jewish people are building Jerusalem today. Jerusalem is not a settlements, it is our capital,” said PM Netanyahu. Meanwhile, in Britain today, the British government has ordered the expulsion of an Israeli diplomat over the use of British passports in the assassination of a Palestinian Hamas leader in Dubai. 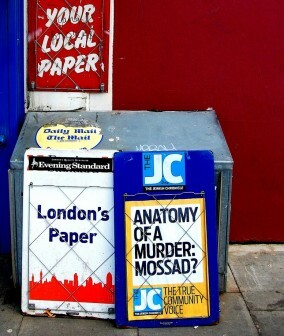 The killers, suspected to be agent of Mossad, used passports from Britain, France, Ireland and Germany. Dubai police is accusing Mossad for the killing of the Hamas leader. Foreign Secretary David Miliband told the British parliament on Monday that he had “compelling reasons” to believe that Israel was responsible for the use of the fake passports. “I have asked that a member of the Embassy of Israel be withdrawn from the UK as a result of this affair, and this is taken place,” said Foreign Secretary Miliband. Editor’s Note: Please follow The News Junkie Post on Twitter to stay updated on all of our articles. March 10, 2010 Why Would Israeli Officials Insult The United States?